An online advisory platform has been set up to provide help for EEA (European Economic Area) nationals seeking to remain in the UK as Brexit negotiations progress. It promises a simple ten-question test that will allow its users to quickly establish their eligibility, and support with application paperwork. The YouStayUK website helps establish an individual’s right to remain and then, for a small fee, provides a bespoke application form, based on the information submitted. Going forward nationals residing in the UK will need to prove their right to continue living and working in the country. A recent Channel 4 Dispatches programme estimated it will take the UK Home Office 40 years to process all the applications. YouStayUK, a level 1 OISC (Office of Immigration Service Commissioner) authorised immigration service, helps users navigate applications with the correct forms and provides insight on individuals’ eligibility. The site’s dynamic form process guides users to fill in the sections relevant to them and provide the correct supporting paperwork necessary for their particular case. The process can be broadened to encompass family members for an additional fee. According to the Office for National Statistics (ONS) Labour Force Survey estimates that in 2015, there were 3.3 million EU citizens in the UK, a large proportion of whom will want to remain in the UK. 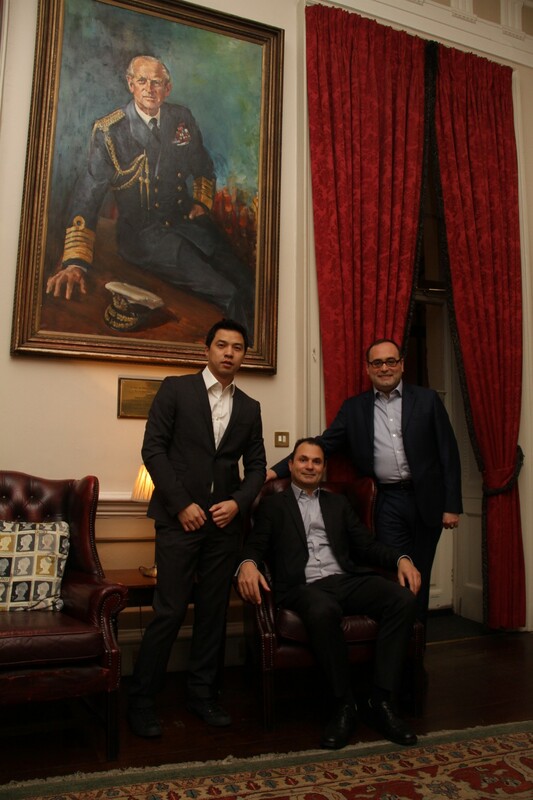 Manoussis, Tim Hoang and Dr Maurizio Bragagni. The idea for the advisory platform came from the founders’ own experiences of applying for UK residency. The options available to help those looking to remain in the UK were felt to be either too difficult or expensive to complete. Costa Manoussis is a solicitor and MBA graduate with more than 14 years legal experience, primarily in Banking (Derivatives) law. Tim Hoang is a Marketing Manager and MBA graduate with more than 10 years’ experience working in the marketing and advertising industry, specialising in digital marketing. Dr. Maurizio Bragagni is chairman and CEO of Tratos Ltd the UK arm of Tratos Group, a European cable manufacturer with factories in UK and Italy and offices across five Continents. Maurizio has an MBA from CASS Business School. While simplifying the application process, YouStayUK also aims to ensure that the Home Office receives accurate applications which are unlikely to be rejected ensuring a more efficient completion of the procedure. The EEA includes EU countries and Iceland, Liechtenstein and Norway. It allows them to be part of the EU’s single market. Switzerland is neither an EU nor EEA member but is part of the single market — this means Swiss nationals have the same rights to live and work in the UK as other EEA nationals. According to Gov.uk there will be no change to the rights and status of EU nationals living in the UK, nor UK nationals living in the EU, while the UK remains in the EU.